In order to offer a wide range of services at private residence, medical facilities and multifamily dwellings, we must have innovative cleaning processes. For our residential customers we only use hot water extraction, or “steam cleaning”, that offers a deep clean. It is the most preferred method by all of the major fiber producers, such as Dupont, Monsanto and Allied Signal, as well as the carpet manufacturers like, Shaw, Mohawk, World, and Queen. Because this method removes more contaminants than the other carpet cleaning methods. UJ Brothers wants to provide excellent customer service to our customers by offering an assortment of high-quality cleaning services. While many cleaning companies focus on only one type of job, we want to make it easier for our customers. We offer professional residential, commercial and janitorial cleaning services at affordable prices. 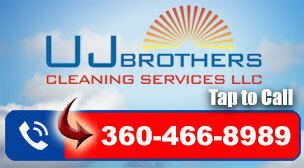 Knowledgeable janitors and cleaning staff are important to us at UJ Brothers, and we hire only the best workers. Our employees are background screened and trained in specialized cleaning methods designed for each type of property. We always have new janitors train with experienced technicians to provide extensive training. To follow safety guidelines for cleaning products, we select eco-friendly detergents and sanitizers. We know how to apply small amounts of cleansers to ensure a surface is spotless without creating horrible fumes. Our company has top-of-the-line cleaning equipment such as carpet shampooers, floor scrubbers and vacuum cleaners. At UJ Brothers, our goal is to help customers hire technicians who are ready to clean at any location. We can provide cleaning services at a home and a business with one simple telephone call. Call us today to schedule an appointment because we offer professional residential, commercial and janitorial services.